WASHINGTON D.C. — Today the Department of Commerce sent the results of its uranium import investigation to President Trump; the recommendations have not been made public. 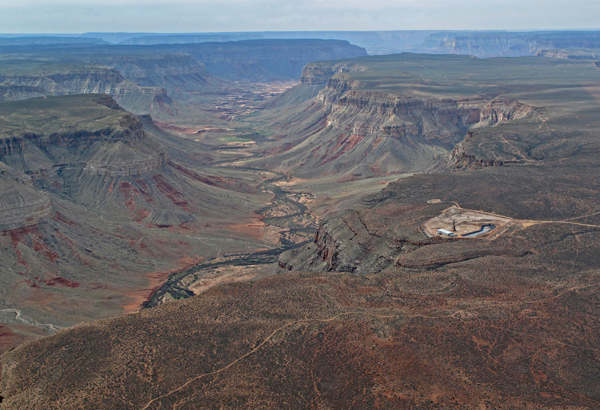 Commerce launched the investigation last summer in response to a petition filed by two uranium mining companies requesting trade protections, including import quotas and domestic-purchasing requirements for U.S. uranium buyers. The president now has 90 days to decide whether to take action. “If the trade protections requested by these uranium companies are carried forward, U.S. uranium prices will climb and U.S. uranium miners will be given a bypass around the presently saturated global market. 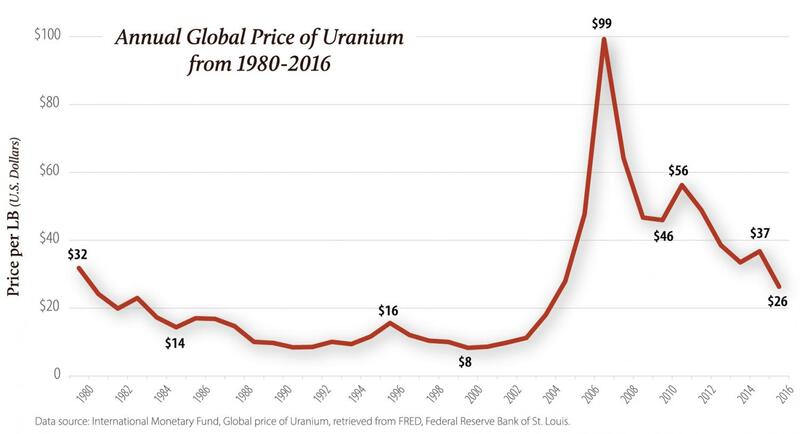 The brimming global supply of uranium has kept prices low for years, restraining the kind of rampant plundering of public and tribal lands that this country experienced decades ago. The public is still grappling with the consequences and paying the price of the last uranium boom. 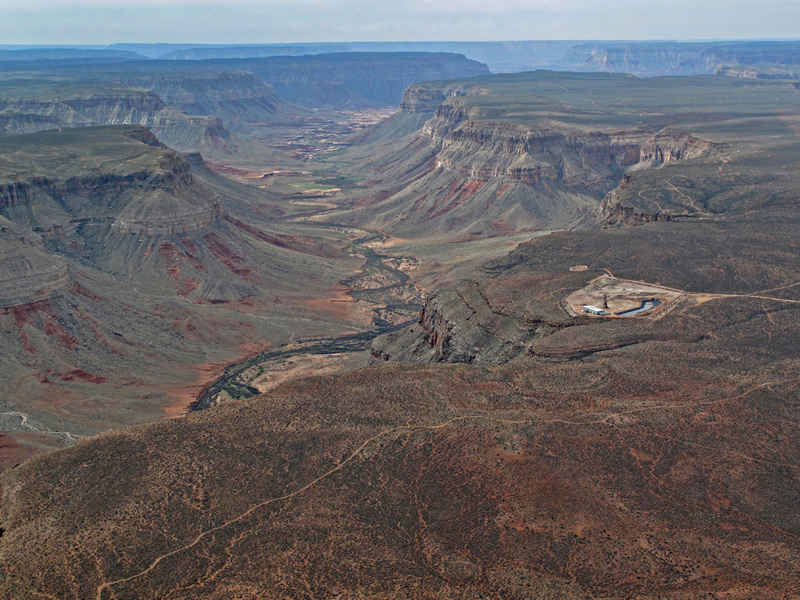 Modern mines in the Grand Canyon region have experienced problems that sharply underline the environmental risks inherent to uranium mining." High resolution maps and graphics are available for download here. Maps may be used by media, and for non-commercial purposes, provided that they are not altered or edited and they are appropriately credited "Stephanie Smith, Grand Canyon Trust." 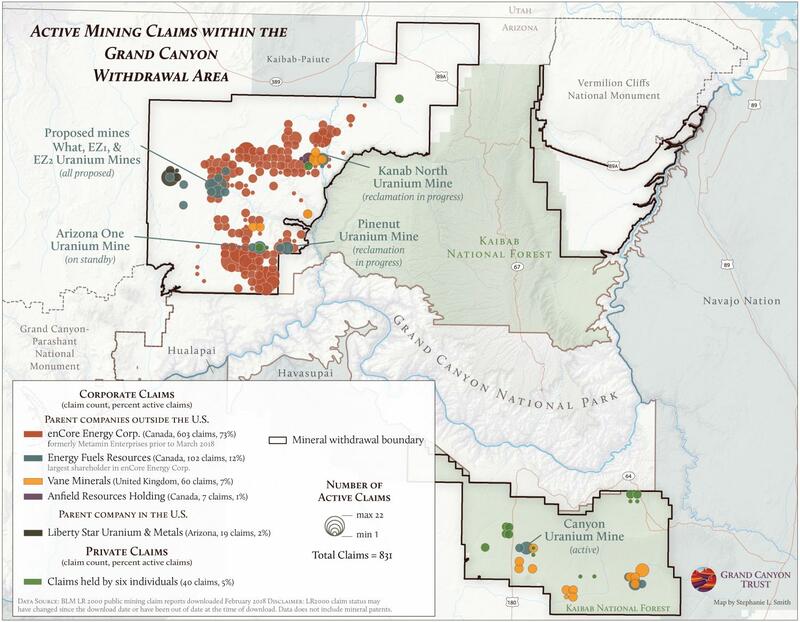 There are 831 active mining claims within the Grand Canyon mineral withdrawal area. The map below was produced using data from the BLM LR2000 Land & Mineral Systems Reports, downloaded in February 2018.